just wanted to let you know that I enjoyed your recipe. I had to adjust it a little, as I did not have enough Button Mushrooms. So I added some soaked Shitake and for additional color some small cut red, sweet pepper. That would look great with the red pepper! 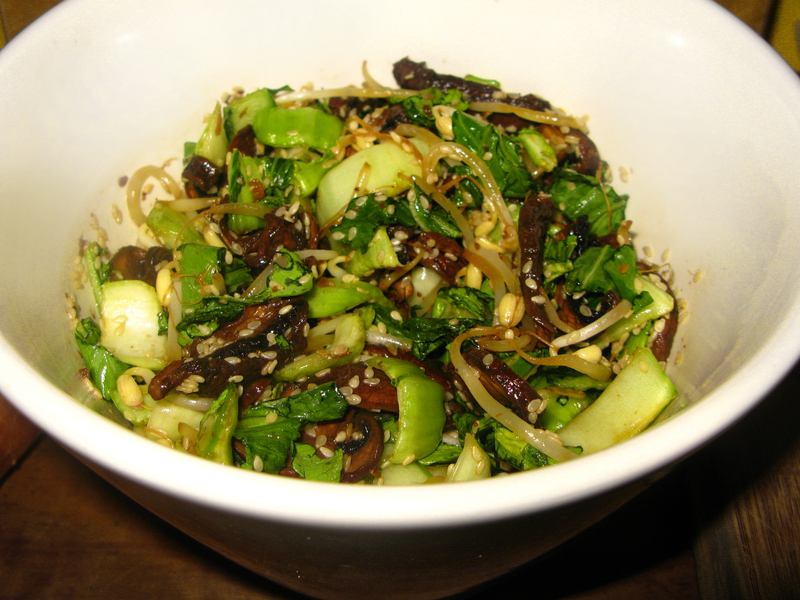 You can easily make this without a dehydrator, I would just let the mushrooms marinade for a few hours and once you’ve assmbled everthing let it all sit for a couple of hours if you want the greens to be soft-ish. It wo’t be exactly the same texture, but it’ll still taste good!